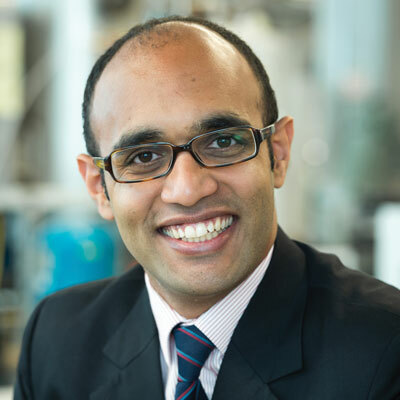 Photo: University of British Columbia's Dr. Vikramaditya Yadav will be presenting Solving some of the Canada's grandest challenges with synthetic biology on Thursday, March 15. College of the Rockies is pleased to host Dr. Vikramaditya G. Yadav from the University of British Columbia’s Faculty of Applied Science: Chemical and Biological Engineering on Thursday, March 15 from 6:00 to 7:30 pm. A warming climate, unrepressed mining and logging, contamination of our water resources, the uncertain price and tight supply of crude oil and the growing threat of epidemics are having a profound, negative impact on the well-being of Canadians. Dr. Yadav’s presentation, entitled Solving some of Canada’s grandest challenges with synthetic biology, will present a vivid snapshot of current and emerging research and highlight some cutting-edge technologies under development in British Columbia aimed at addressing these issues. In addition to his work as an Assistant Professor at UBC since 2014, Dr. Yadav is the Vice Chair of the Biotechnical Division of the Chemical Institute of Canada. He received his PhD from the Massachusetts Institute of Technology (MIT) and then went on to conduct post-doctoral research at Harvard University. In a short span of 2 years, Dr. Yadav has established a world-leading, industrially-connected interdisciplinary research laboratory investigating topics at the interface of biology, chemistry, engineering and medicine. This presentation is being offered as a result of a partnership between the College and Genome British Columbia. A catalyst for the life sciences cluster on Canada’s West Coast, Genome BC manages a cumulative portfolio of over $625 million in research projects and science and technology platforms. Working with governments, academia and industry across such sectors as forestry, fisheries, agriculture, environment, bioenergy, mining and human health, the goal of the organization is to generate social and economic benefits for BC and Canada.